New Fourcaster in town: welcome Payam! 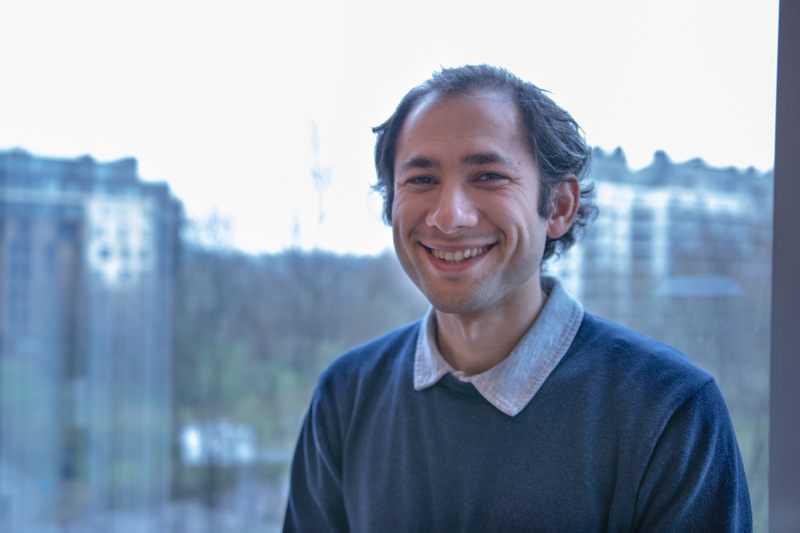 Our technical team just got a bit bigger as we welcomed new Google Cloud data engineer Payam Ebrahimi in our Brussels office. A warm welcome to Payam! Here goes his introduction. Hi, I am Payam. I just started as a data engineer at Fourcast. I come from a very diverse background and I have had my share of industry as well as academia experiences. I am passionate about working on complex problems that can be solved by combining simple solutions. Therefore, at Fourcast I will be focusing on developing applications that can scale on Google Cloud Platform. I really enjoy cycling and I’m planning to cycle across Europe, with France being my next country to explore. Apart from cycling, I like to travel and meet new people. I love learning about new cultures and Languages and wherever I may be, I actively participate in international events happening in my surroundings. I had a meeting with Niels and Karim (from the technical team at Fourcast, ed.) and I really enjoyed the talk I had with them. I was intrigued by how much Fourcast encourages individual growth. In addition, the absence of corporate hierarchy as well as the flexibility that is provided to individual team members, makes Fourcast an ideal working environment for anyone with my type of personality. I was never keen on being involved in any form of big corporate bureaucracy. I believe it restricts progress and encourages negligence. At Fourcast, you just focus on getting things done and you can always count on the support of your teammates at any given moment. In addition, Fourcast offers a very fun working environment. You have access to many sources of entertainment throughout the day. We have periodic LAN parties as well as really nice team building activities. Everything is arranged in a way that you can work efficiently and enjoy what you are doing. What Google offers helps you focus on solving your problem and work efficiently. Google Cloud Platform (GCP) scales what you do in your local machine, to work over a big cluster of machines. There are some alternatives to what Google offers. However, none of the existing alternatives are as easy to work with as the GCP. As an example, you can take advantage of Kubernetes to setup a cluster of microservice containers and only focus on your microservices and not on the maintenance of the cluster. When it comes to relational data, you can always use BigQuery to run a query over a terabyte of data in the same manner you would use a relational database management system (RDBMS). Moreover, all the other great Google products such as TensorFlow, Firebase, App Engine, etc. are seamlessly integrated in GCP. I would like to compare using GCP as a developer with having the best set of tools as a carpenter. A highly skilled carpenter can always hack together some self-made tools or get the job done with some mediocre tools. However, nothing comes close to having the best tools. Especially if you want to work efficiently. Also interested in joining our team? Check our job opportunities and apply today!